Supplemental health insurance is customized to work in conjunction with a primary health insurance provider. It’s not a replacement for your primary coverage, but rather a supplement to your primary carrier's health plan. 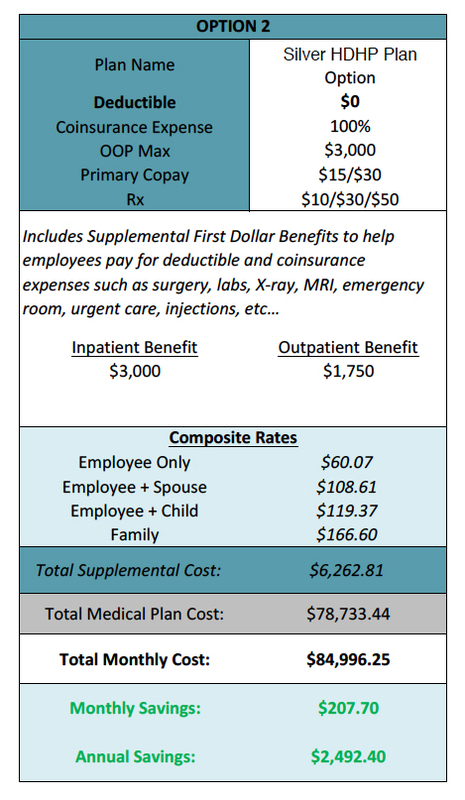 MedPair helps decrease an organization's overall health insurance premiums and helps employees experience a dramatic reduction in their out-of-pocket expenses. MedPair reduces the burden of PPACA by allowing employers to reduce single and family rates, all while strengthening their health plans. There is great flexibility when picking a primary insurance plan design. MedPair is fully customizable to fit the unique needs of each employer and their employees. Coverage for confinement and services rendered as an inpatient in a hospital—room charges, surgery, in-hospital physician charges, and emergency room treatment (if admitted to hospital). $500 up to $10,000 maximum per insured person per benefit year. Equals three times the individual Inpatient Hospital Benefit. Coverage for services rendered in a hospital emergency room, hospital outpatient facility, outpatient surgical facility, diagnostic facility, physician’s office, lab facility, and urgent care facility. $0 to $4,000 depending on selected Inpatient Hospital Benefit. Equals three times the individual Outpatient Benefit. Products are not available in all states. All coverage is subject to availability, underwriting approval, and specific state mandates. The benefits outlined are for illustrative purposes only and should not be considered as a guarantee or proposal for coverage. Limitations and exclusions apply. Additional plan options are available, subject to underwriting approval. MedPair is implemented with the help of a Tandem Medical Solutions consultant. Contact us today for more information or to request a proposal. 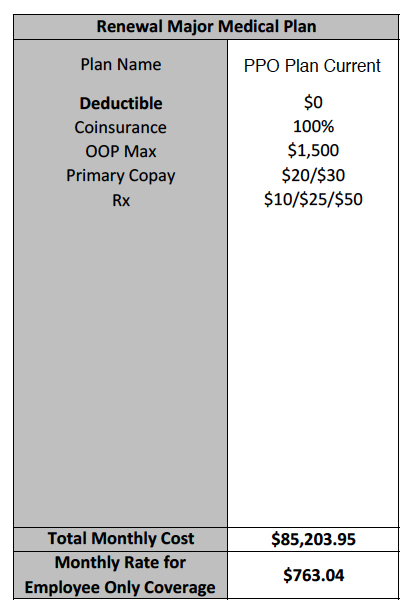 MedPair pays the member's portion to an eligible medical claim up to annual maximum benefits. It helps pay for deductibles and out-of-pocket expenses for inpatient and outpatient treatment. Benefits are paid directly to healthcare providers upon submission of the patient's itemized bill or HCFA and the primary carrier's EOB.